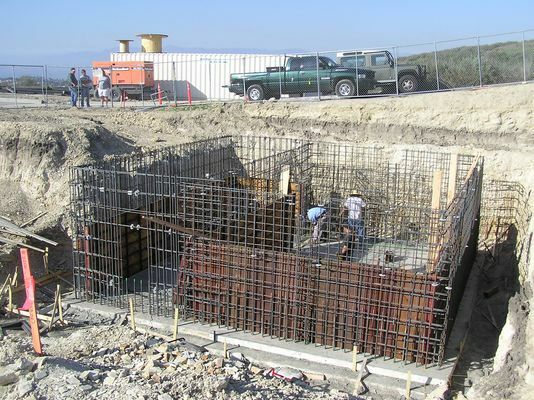 Here's a good show showing how much rebar has been placed in the past 7 days (see the other photo in this gallery). The temporary transmitter trailer is shown in the background. Chris Hicks, the RF engineer responsible for making this site operational, is in the white shorts behind/above the excavation. There it is again, Chris's Land Rover! What ever happened to that green Defender that I had over here on the rock? Did it have island fever and die after you got it back to America? I miss it!